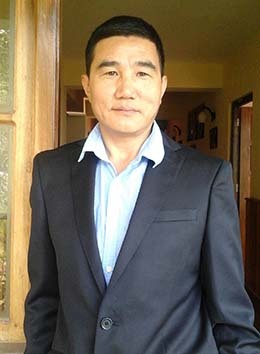 Former Additional Secretary to the Government of Sikkim and founder member of the organisation. She has been supporting many needy tribal children throughout her life by opening the doors of her home to them. 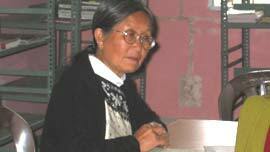 For her selfless work in the development of underprivileged children, Ms.Keepu Lepcha was one of the women selected from over 150 countries for the Nobel Peace Prize in 2005. He is the Executive Director of HDFS. He looks after the administration and correspondence with children of Sikkim foundation Switzerland, state government, the Government of India and other agencies with regard to different policy matters and funds. He also represents the organisation as and when required. Ex Panchayat [local village administration] leader in Chongey where the Children’s Village is located. He is a respected member and leader of the community and is the settler trustee of H.D.F.S. His experience in construction and has been a great asset to H.D.F.S. He has been personally involved in all the construction of H.D.F.S. A senior and well respected member of the community. He is a travel agent by profession and is actively involved in promoting Eco-tourism in the state. He is a trustee member of H.D.F.S. His contacts have been of great value to the organization. 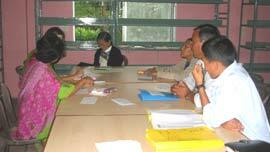 Joint Secretary to the Government of Sikkim, Mrs.Paljor is the Vice Chairperson of H.D.F.S. A very active and dedicated social worker in the community, she started her career as a teacher. She is a trustee member of H.D.F.S. Joint Director in the Department of Human Resource Development , Government of Sikkim . She is a trustee member and her contribution is immense in the field of education. Additional Director - Accounts with the Government of Sikkim, Mrs.Subba is our trustee member and her expertise is of valuable help to the organization. Her experience in financial matters is a great help to the organisation.